We offer a number of treatment options to correct misalignment and address common jaw joint disorders in Fort Worth, TX. For example, we may use cosmetic orthodontics to correct misalignment or create oral splints to treat TMJ disorder. To do this, we employ advanced imaging technology with iTero®. We now offer an alternative to the traditional system of taking impressions, which meant biting down on powdered molds. Now, we use digital imaging technology to create a more detailed and accurate impression, without requiring patients to bite down on poor tasting molds for several minutes. The iTero® system employs a special wand that scans the teeth and oral structures with a laser light. The information gathered is used to create a detailed 3D model of your smile. We then use these detailed digital impressions to design an oral appliance, such as an Invisalign® aligners or TMJ oral splints! 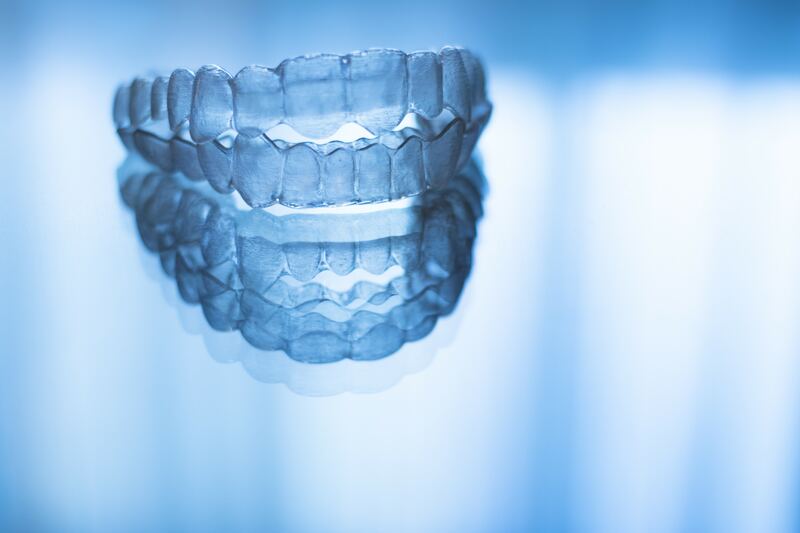 Invisalign® corrects misalignment without requiring metal orthodontics. Instead, the patient wears a custom-made set of aligners for between 20 and 23 hours a day, removing them only brief periods and upgrading to a new set about once every two weeks. The aligners fit comfortably and help shift the position of the teeth over a period of a year to 18 months, depending on the extent of your misalignment. You can also remove them before meals or prior to brushing and flossing, helping you enjoy a more convenient treatment process and better oral health. Using digital imaging technology, we offer our patients a solution to uneven smiles, employing comfortable and practically invisible clear aligners. TMJ disorder occurs when the jaw joints undergo excessive strain. Common causes of said strain include tooth loss, misalignment, malocclusion, teeth grinding, and injury to the face or jaw. Over time, patients experience headaches, popping in the jaw, and difficulties fully opening and closing the mouth. The oral splint we create using 3D digital imaging technology repositions the jaw to ease strain and help people avoid the uncomfortable symptoms. We may also use an oral splint to help stop teeth grinding and protect your smile from further damage. If you have any questions about how we create these aligners, or if you want to talk about treatment using clear aligners or a custom-made oral splint, then contact our team today. We’re ready to improve your oral health with advanced technology! We create custom-made aligners and oral splints to help patients enjoy improved oral health. To schedule your consultation and discuss our oral appliances, please call Lake Country Orthodontics in Fort Worth, TX at (817) 236-7846. Our office proudly serves patients who live in Ft. Worth, Rome, Haslet, Azle, Saginaw, and all surrounding communities.